It has been announced today that Queen Elizabeth II has put environmentally friendly strategies in place to tackle the issue of plastic in royal residences. Single-use plastic water bottles and straws are to be banished from royal estates. Plastic straws will be phased out in public cafes and totally banned in staff dining rooms. Takeaway packaging at the Royal Collection cafes will be changed so that it is compostable or biodegradable. In addition the internal caterers at Buckingham Palace, Windsor Castle, and the Palace of Holyroodhouse in Edinburgh will now only be allowed to use china plates and glasses, or recyclable paper cups. 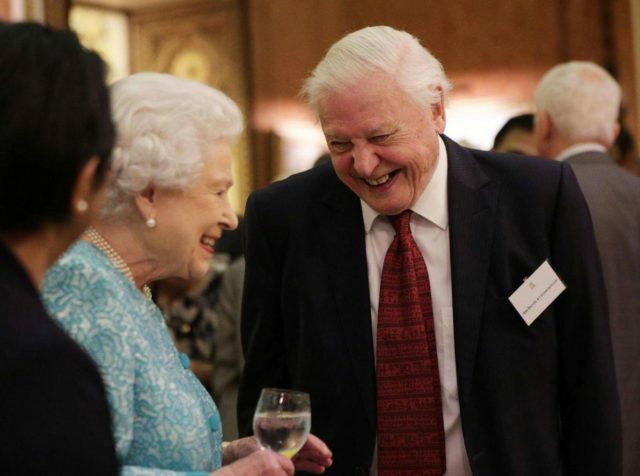 It is believed the Queen became personally interested in the plastic issue after working with Sir David Attenborough on a conservation documentary dealing with wildlife in the Commonwealth. At present Buckingham Palace is part way through a decade long refurbishment programme. A plan has been put in place to improve energy efficiency by 40%. Part of this will be achieved by installing solar panels on the roof and an anaerobic digester. This generates biogas from organic and food waste. The Palace is also reviewing the use of ground source heat pumps. Once the post second world war electrical cabling and heating systems have been replaced, the royal residence will be greener. The Prince of Wales has long been an advocate for the environment and speaks regularly about the damage to the oceans caused by dumped plastic. He recently warned that the world was facing a "escalating ecological and human disaster" from rubbish in the seas. Earlier this month Prince Charles met with Marks & Spencer, Waitrose, PepsiCo UK, scientists and environmentalists to discuss how to tackle the issue. The royal green policy is to extend beyond the royal households to the companies holding a Royal Warrant. These companies must now show they are not polluting the planet.